Sony has developed an ultra-thin, flexible OLED screen, capable of wrapping tightly around an object as narrow as a pencil (a diameter as small as 4mm, to be exact). 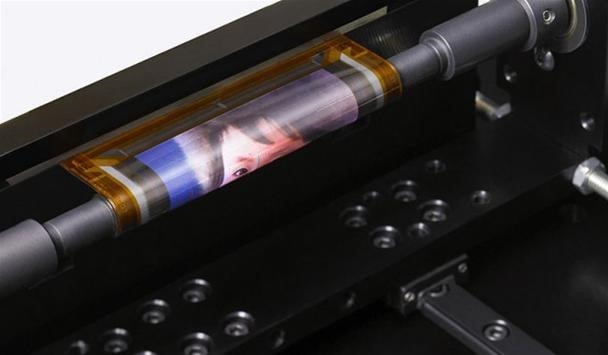 The full-color display is 80-microns-thick (or 80 millionths of a meter- that's the size of a human hair!). What I want to know is... why can't the iPad roll around a pencil? Do not miss the demonstration video below. What are the practical applications for something like that i wonder? Fabric television, i dunno. Outside of being a neat spy gadget, it just seems like a gimmick product. But I have been wrong before.